All businesses have to keep accurate records of their financial transactions. At the Hollies Bookkeeping, we understand that bookkeeping, payroll and accounting demands are involved in the running of a business no matter how small or large. We also understand that maintaining your financial accounts and records, supervising accounting staff, dealing with accountants, debtors and creditors all place pressure on the valuable time and monetary resources of your business. Our services include Bookkeeping, Payroll – RTI and Auto-enrolment, VAT returns, Self-Assessments, Partnership Tax Returns, Construction Industry Scheme, Limited Company Set up and filing of Annual Returns. We aim to relieve you of these demands by providing professional and efficient services at competitive rates whist at the same time helping you to avoid paying the high costs involved when engaging accountancy firms over an extended period of time. Every business should be regularly updating bookkeeping and accounting records, so business leaders can make the right decision with the figures and future of the business. Without updated books, any decision regarding product lines, pricing or customer capacity is really just a guess! 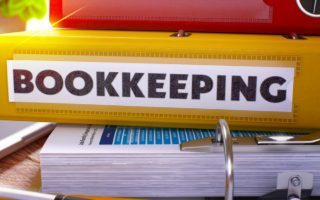 Here are some big benefits of updating bookkeeping and accounting records on a regular basis and some tips to get you started with your bookkeeping for your business. New company car fuel rates, which took effect from 1 March 2019, have been published. The guidance states: “You can use the previous rates for up to one month from the date the new rates apply” – so you must have ensured you change your company car rates by 1 April. The rates only apply to employees using a company car. The National Minimum Wage (NMW) and National Living Wage (NLW) are changing in April 2019. They are the legal minimum wage rates that must be paid to employees. Employers are liable to be penalised for not complying with the NMW and NLW rules. Whether you are self employed or a contractor you may wonder just what are the tax rules applicable to each one? A person is self-employed if they run their business for themselves and take responsibility for its success or failure. Self-employed workers aren’t paid through PAYE, and they don’t have the employment rights and responsibilities of employees. 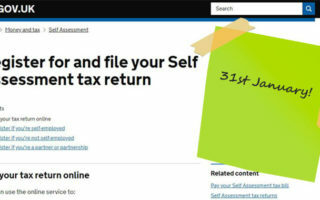 The deadline for submitting your 2017/18 self-assessment return is 31 January 2019. The deadline applies to taxpayers who need to complete a tax return and make direct payments to HMRC in respect of their income tax, Classes 2 and 4 National Insurance Contributions (NIC), capital gains tax and High-Income Child Benefit Charge liabilities. From 6 April, 2019, the minimum pension contributions you and your staff pay into your automatic enrolment workplace pension scheme will increase. This is also sometimes known as ‘phasing’. It is your responsibility to make sure these increases are implemented. 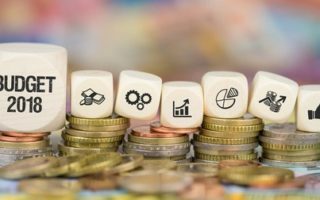 A challenging task for start-ups and new business owners in the first year is the annual and rather scary prospect – the self-assessment tax return so get ahead and invest in an accountant. It’s a challenge which often results in a mad rush to meet the taxman’s end of January deadline. As daunting as the self-assessment process is, getting your return filed on time (and paying what you owe) is crucial for avoiding the late filing fees that are automatically incurred if you miss the January 31st deadline. Following Philip Hammond’s Autumn Budget announcement, we’ve taken a look at what it could mean for landlords in the UK – including changes to the income tax personal allowance and higher rate thresholds. Even though the 2018 Budget was relatively light on announcements for landlords and the private rented sectors - the most important announcements were around personal tax, including the changes to the personal allowance and higher rate income tax thresholds. Bookkeeping dates back thousands of years, the oldest records of bookkeeping have been found in archaeological digs and National Geographic reported on a 5000-year-old stone tablet showing a record of how much barley was used over 37 months – books! 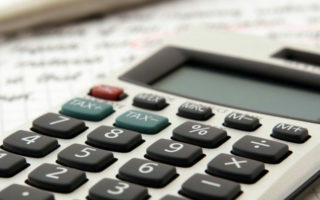 So why is bookkeeping so important? Bookkeeping is the foundation upon which the rest of your accounting practices are built. Everything from payroll to tax deductions needs a solid bookkeeping base to work from. Without it, you cannot hope to manage your finances.